Lock in a great price for Hotel Feniks – rated 9 by recent guests! Great service and location. The restaurant in the hotel is also great offering daily variety of home cooked meals. Good location, very kind staff, comfortable and clean rooms. Recommend! The staff are always helpful and welcoming. The rooms are comfortable and the pool is well appreciated by children. The breakfast is good, prepared almost instantaneously and provides various meal options. The hotel is not far from the beach, nor from the main street, but is in a very quiet location. Perfect place for a summer vacation. Amazing pool with jacuzzi. Friendly, nice and helpful receptionist. Clean and tidy rooms with compliment from the staff. Great value for the price. Nice and welcoming staff and really nice and quiet location. Definitely will stay at the hotel again! Super nice staff, clean and comfy room, good food at the restaurant, close to the beach. Perfect place for a getaway. Кухнята беше чудесна и пероналът любезен.Местонахождението е много добро,в края на селото,на много спокойно място. Чисти и просторни стаи, зоната около басейна е много приятна! Супер хотел. Много чисто, тихо и спокойно. Вкуса закуска и любезен персонал. Отново ще ги посетим. Hotel Feniks This rating is a reflection of how the property compares to the industry standard when it comes to price, facilities and services available. It's based on a self-evaluation by the property. Use this rating to help choose your stay! 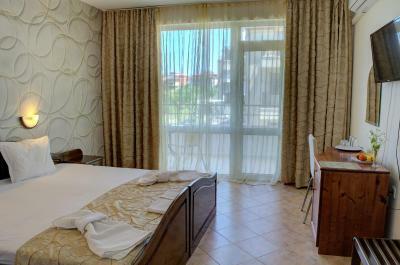 Hotel Feniks enjoys a central location in Lozenets, only 500 feet from the beach. It features an outdoor pool, a fitness room, a hot tub and a restaurant serving Bulgarian and International cuisine. Free Wi-Fi is available. 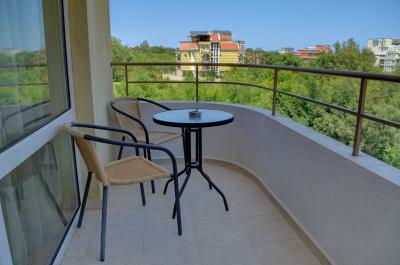 The air-conditioned rooms come with a balcony overlooking the garden. The facilities include cable TV, a refrigerator and a private bathroom with a shower. The reception of Feniks Hotel is at your service 24-hours a day. The garden includes a seating area and a children’s playground. Free public parking is available and airport shuttle service is offered for a surcharge. You can find the Burgas Airport 43 mi from the hotel. Shops and restaurants can be reached within 656 feet, while the Beach Oasis is 1.2 mi from the property. This property is also rated for the best value in Lozenets! Guests are getting more for their money when compared to other properties in this city. 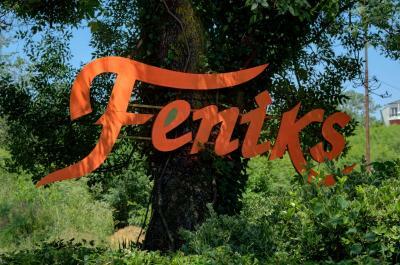 When would you like to stay at Hotel Feniks? This twin/double room has a patio, air conditioning and tile/marble floor. House Rules Hotel Feniks takes special requests – add in the next step! Hotel Feniks accepts these cards and reserves the right to temporarily hold an amount prior to arrival. A deposit via bank wire is required to secure your reservation. Hotel Feniks will contact you with instructions after booking. Please note that extra beds should be requested and confirmed by the property before arrival. Please inform Hotel Feniks of your expected arrival time in advance. You can use the Special Requests box when booking, or contact the property directly using the contact details in your confirmation. The reception does not ensure permanence during the day, although there is often staff somewhere around.